Display Pedestal can use large or small baskets to accommodate any size. This Display Pedestal can be used with a large or small basket to accommodate any size. The product has a heavy gauge round wire finish for durability. This Display Pedestal can be used with an optional heavy duty clear acrylic liner. The item has a round wire base for stability. The stand is ideal for grocery stores, bakeries, and cafeterias. This Display Pedestal Liner can be used with a large or small basket to accommodate any size. The product has a heavy gauge round wire finish for durability. This Display Pedestal Liner can be used with an optional heavy duty clear acrylic liner. The item has a round wire base for stability. 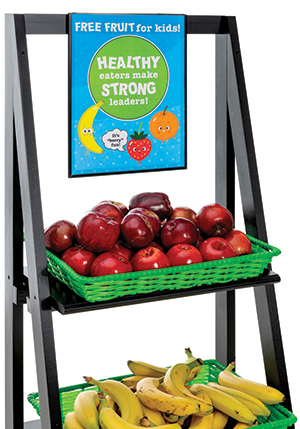 The stand is ideal for grocery stores, bakeries, and cafeterias.